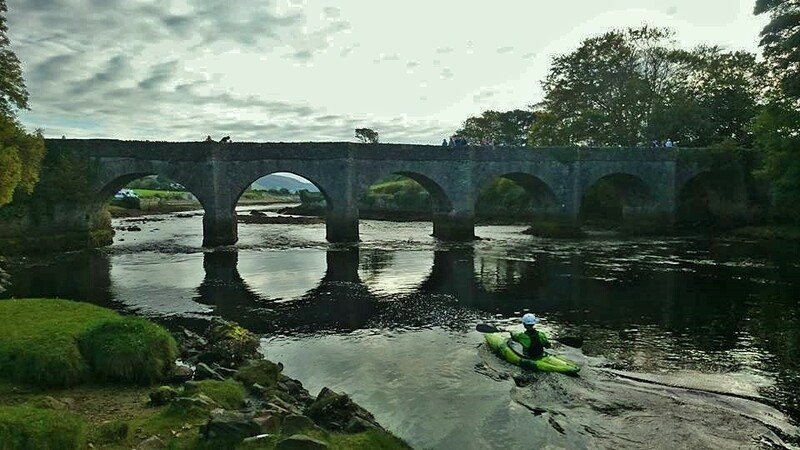 On Friday the 16th of October most of the Irish kayaking community descended on the wee town of Buncrana in Donegal to battle it out for the top spots in their chosen disciplines. Having not had any rain in what seems like forever the event couldn’t have come at a better time. Crana river flowing into the sea. 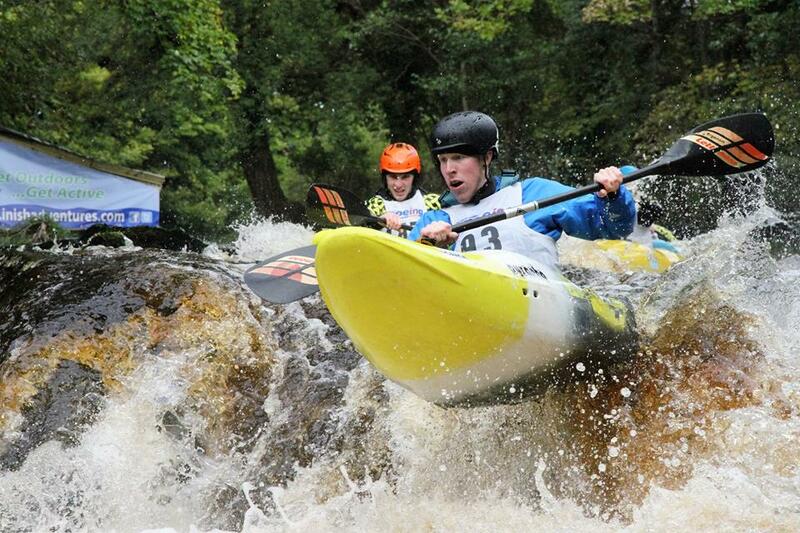 Crana Fest is a two day event of all levels and disciplines of kayaking including rafting. 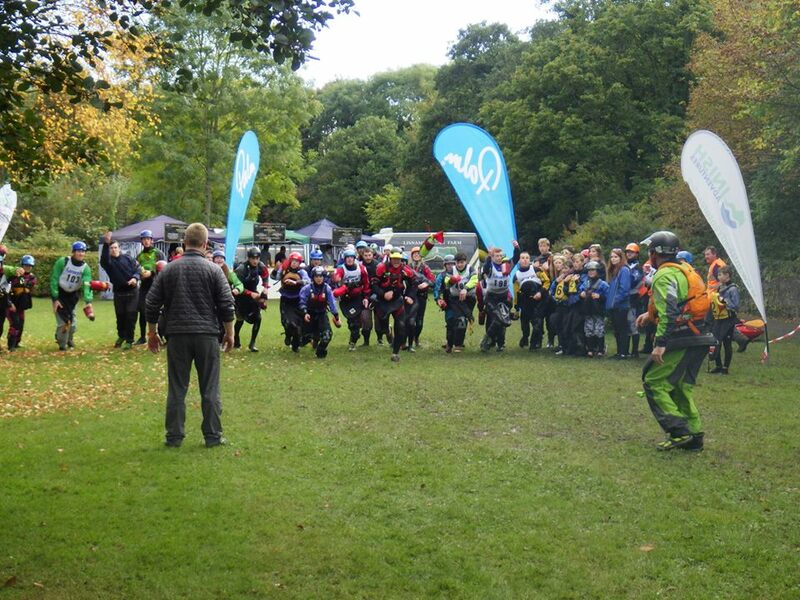 This exciting event is now in its 7th year and has attracted participants from all over Ireland, the UK and Europe. 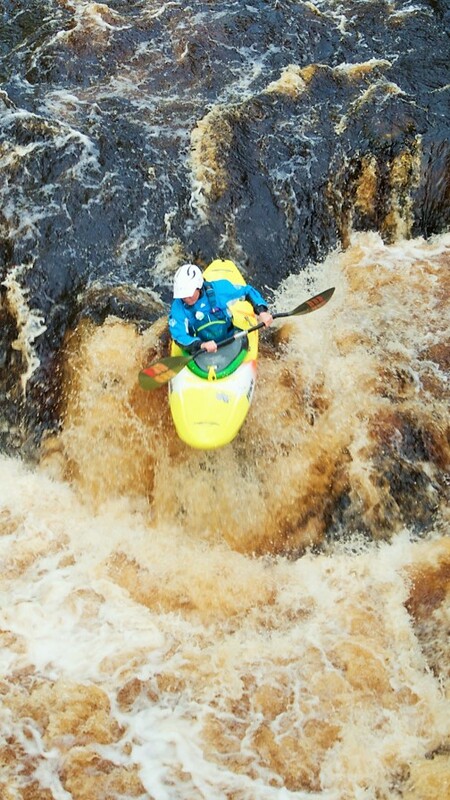 The event is run on the Crana River which includes a small freestyle feature, a Grade 4 rapid known as The Claw, a lovely little Grade 3 section which then runs right into the sea, all in less than 1km. So when they say there is something for everyone there genuinely is! 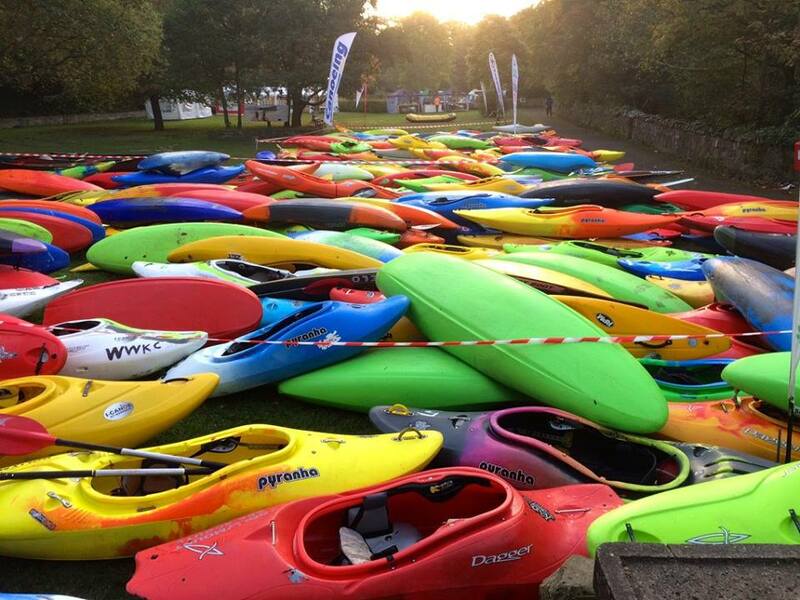 My favourite part of going to any event is meeting up with kayaking buddies who in this case I hadn’t seen all summer, meeting new people and generally just messing about on the water. The racing itself is just a small part of it. Though I really do enjoy the buzz of it, the butterflies in your tummy beforehand and the feeling of adrenaline pumping through your veins as you cross the finish line. 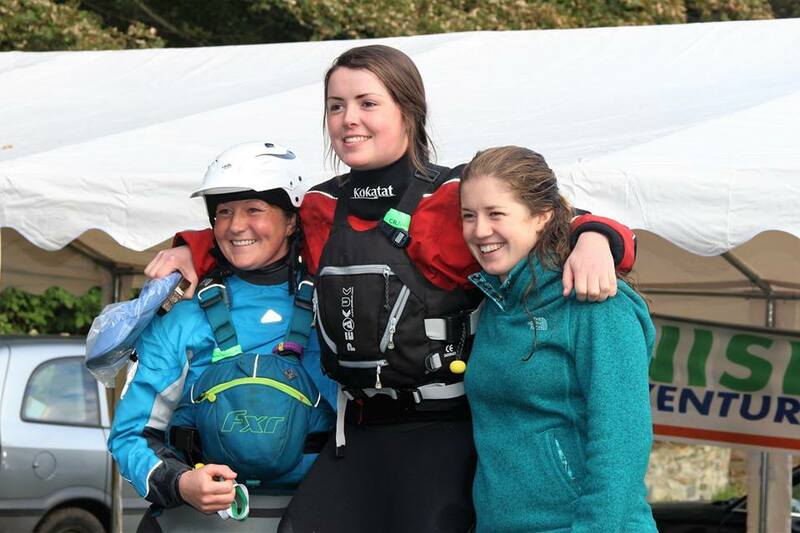 After spending the day coaching, meeting some lovely new people and rafting with my besties my 1st race of the weekend was the Palm Night Race which is also the 1st event in the Irish White Water Race League series. It’s a time trial event run under lights, music and cheers from the crowd, the atmosphere is fantastic. You start off down a sudsy ramp onto the run-in rapid of The Claw then onto a flat water sprint around a lit up, upstream gate to the finish. After heading over to the Sickline in Austria but not being able to compete this was my 1st race in my new Pyranha 9R and I was feeling confident, it is the fastest creek boat I have ever sat in so I knew it was just up to me to get the line right, luckily I did ahead of some very tough competition and took home 1st in the Ladies Race. 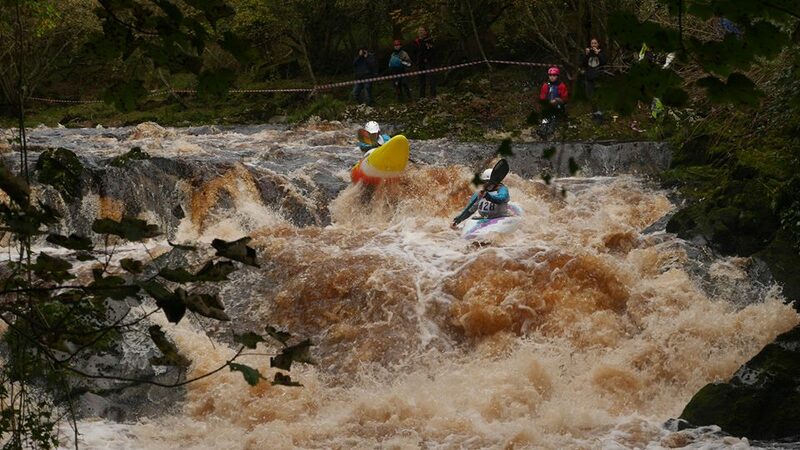 I later loaned my 9R to young slalom paddler Oisin Farrell who if not for a touch on the upstream gate would have had the fastest course time by well over a second. The 9R’s were in flying form that night with David Doyle and Cian McNally taking 2nd and 3rd respectively in the Senior Men’s Race. Next up for me on Sunday afternoon was the Expert Boater Cross, it starts roughly 200m up stream of The Claw, so plenty of distant to feel the burn in your lungs before you try to set your boat up for that all important entry ledge into the Claw. We had enough ladies for two heats with the top two progressing to the final. I had a great battle with good friend and pocket rocket Ms Laura Griffin in the first heat just managing to tag the banner before her. There were then 4 of us in the final and while I was in 2nd place coming over the Claw I had to throw in a roll at the bottom with the final result being Aoife Hanrahan 1st, Laura Griffin 2nd and myself in 3rd. Aoife had clearly been training hard and it was a well deserved win! 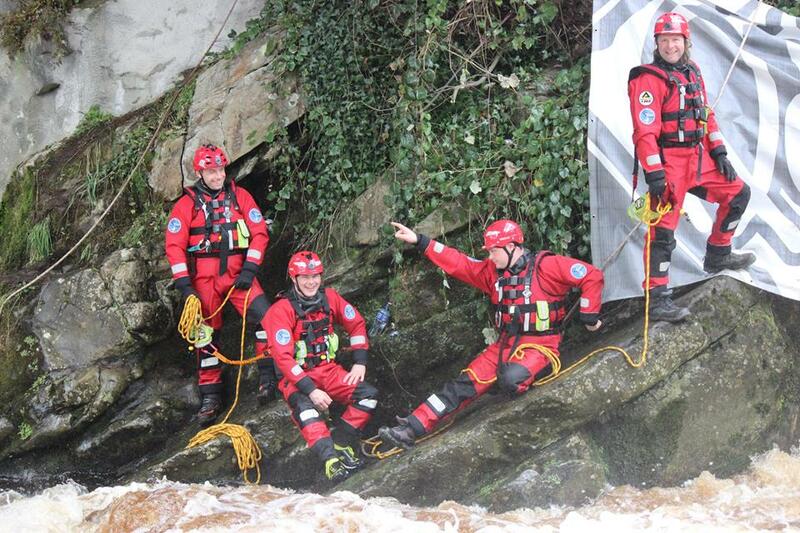 Big thanks to Adrian Harkin and the Inish Adventure crew for a fab weekend and to Paul McNally and his rescues rangers who stood on the riverbank all weekend keeping us safe.